Last week marked my first full week back in Blighty after the summer shenanigans across France and Italy. For those who follow me on Instagram, you’ll have seen that the week was chock full of admin and accounting. Being the complete geek that I am, I love to get stuff done like that. As much as I’m nursing a ridiculous amount of paper cuts, it was a good job done. But I still managed to get some good stuff done. 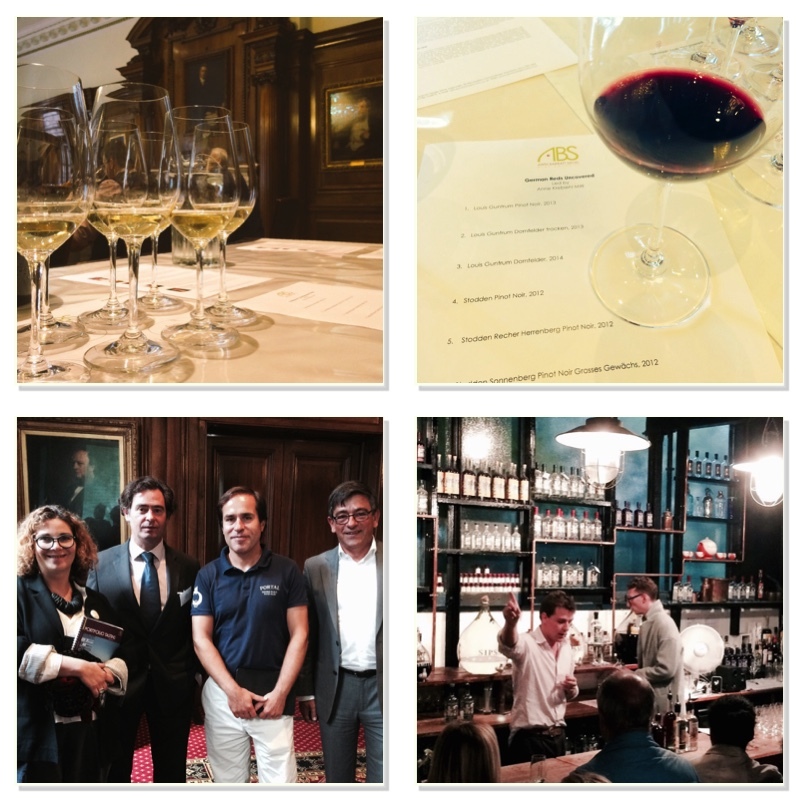 Last week I attended the ABS Wine Agency tasting day down in Westminister. The wife always asks me now to be sure what I’m trying to get out of things when I go to these days. Just walking round a big room and tasting a few wines and then walking home is arguably not the best use of my time these days. But I signed up for all three master classes during the day and learned an absolute bucket load. Over this week then you’ll be getting a potted account of each of the master classes. You’ll get world chardonnay, the best of German red wines, and more fantastic dry wines coming out of Portugal. I also used up my birthday present from my family and headed down to the Sipsmith’s gin distillery in Chiswick for a tour of the place. Very cool night, lots of stuff to taste and learn, my write up on that will be coming later in the week! It’s going to be a pretty full week this week for me. There’s a few wine launch lunches, my cricket team’s end of season curry, and a big family wedding at the end of it all! Anyone out there up to anything good? Let us know! Hi Mike; looking forward to reading about world chardonnay; I’ve only just realised that my project to sample wine made from each of the main grape varieties will have to take into account the geographical variations with ubiquitous grapes such as chardonnay or cabernet sauvignon. By the way, what do you intend to drink with the curry? What can you do, eh? You’ll have to get gulping even more to get through them all! Drank a Piemonte Barbera 2014 with Mrs F’s formidable spaghetti Bolognese recently. Thought it was a bit underpowered for the dish (Mrs F uses lots of mince fortified with soy and Worcestershire sauce.) Can see how it would have worked better with a more traditionally tomato-rich spag bol.